Hello there Speedy Gonzales. 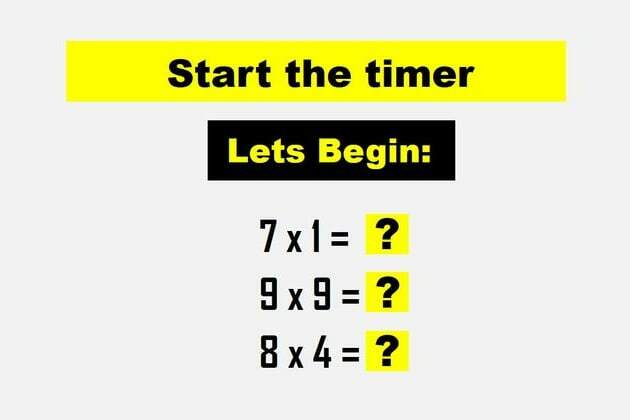 Not only that you were able to answer everything correctly, but you did it fast (and we mean it in a good way). You are definitely left-brained, which means you have incredible logic and enviable analytical skills. You have an amazing memory, you are a great problem solver and yes, you're good at math. You love to challenge yourself and learn new things, your curiosity is one of your strongest characteristics, which also brings out your creativity. You get an A++ at math and life! There are 3 types of people in the world, those who are good at math and those who aren't. The good news is that summer is almost over, because you need to go back to school ASAP!